Into The Void is a single released exclusively in Australia containing the track "Into The Void" to promote the album The Fragile. 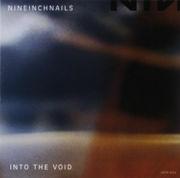 No halo number was assigned to this release, making it one of the only commercially-available Nine Inch Nails releases, along with Capital G, with that distinction. Due to its rarity, Into The Void is considered a prized item for NIN memorabilia collectors. 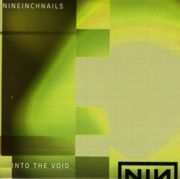 A two-track promotional CD for "Into The Void" was also released in the United States though it was incorrectly labeled as Halo 16. The version of "The Perfect Drug" included on this single is slightly longer than the one released on the Lost Highway soundtrack. It fades out at the end instead of ending abruptly. ©1999 Leaving Hope Music/TVT Music (ASCAP) administered by Leaving Hope Music Inc.
CD5 format with green disc face and black lettering. Jewel case features full-color artwork. This page was last modified on 12 December 2018, at 10:50. This page has been accessed 72,452 times.